Unique art style, Unique gameplay twist, Strong soundtrack. Feels repetitive quite quickly, Gameplay isn't supported by enough surrounding elements, Cars don't feel different enough. Drive!Drive!Drive! is supported by a very interesting gameplay mechanic, but the experience that surrounds that mechanic is hollow. The racing genre is undoubtedly well represented in video games. From AAA mainstays such as Gran Turismo, Need for Speed and Forza, to relatively newer titles such as Driveclub, Project CARS and The Crew, to the truly unique racers such as Trials and Trackmania, it’s hard to find a racing game angle that hasn’t been explored. Developer Different Cloth aims to thread that needle with its newest game, Drive!Drive!Drive! 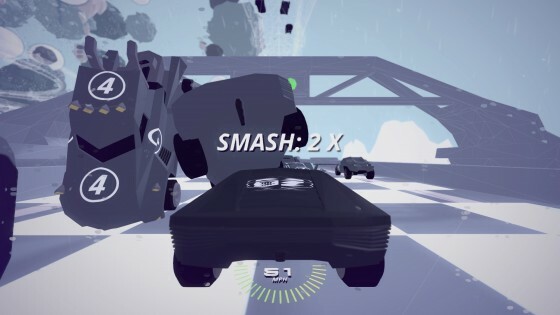 Set in a low-res, polygonal galaxy that somehow seems futuristic and retro at the same time, Drive!Drive!Drive! has one big trick up its sleeve: players are forced to race multiple cars on multiple tracks at the same time. When you switch between tracks, your other cars are controlled by the AI, and unfortunately for us, AI stands for Artificial Idiocy™ powered by the Intelligent Stupidity™ engine (so says Different Cloth -- seriously, these are their terms, not mine). So, no lead is safe in the hands of the computer, encouraging players to continuously change their focus on the different cars and tracks. It can be a bit discombobulating at first, but after a few events your brain starts to grasp this 4-D twist on racing. There are two ways to switch tracks. The X button (on PS4), which freezes time and pulls out to a 10,000 foot view of the tracks so you can evaluate your position on each, along with the current speed and boost reserves of each of your cars. There’s also a fast-switch option, which allows players to change control to the track above or below the current with the up and down D-pad buttons. This method does not pause time and immediately throws you into the driver's seat of the car on the selected track. Ultimately, both methods work very smoothly and the mechanic provides a fun twist. To succeed, players must split their attention between the track they are driving on, and the race status HUD in the lower left corner to keep tabs on the (usually falling) position of their cars on the other tracks. Although it can be frustrating to watch the AI quickly cough up the big lead you handed it, the CPU opponents are equally as dim, so typically it just takes a blast of boost -- which should be plentiful, since your AI drivers refuse to use it -- and a few moments of good ol’ fashioned human touch to regain those positions. There are four race variations to play in Drive!Drive!Drive! 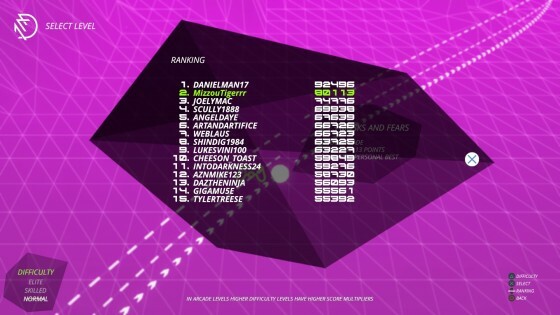 Two will be familiar to any racing game fan: Purist is simply a race to the finish line, and Time Trial removes all opponents from the track as your only goal is to finish before a target time. The third mode, Arcade, sets a target score to reach for bronze, silver and gold. 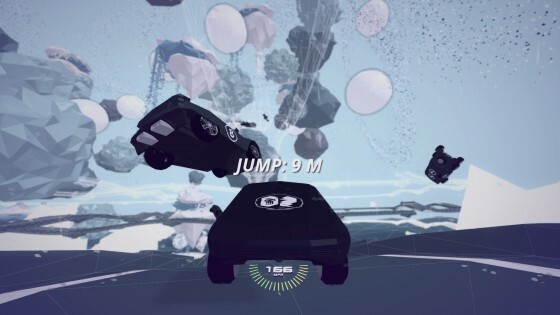 Points are earned from smashing other opponents, drifting and performing jumps. The final mode, Collection, places pink gems around each layer of track and your job is to collect as many as you can. The length of the races can be both a blessing and a curse. Because every race is just one lap, races can be completed in a very short amount of time, which means you can plow through challenges quickly if things are going well. Unfortunately, your aforementioned Artificial Idiocy CPU companions may quickly fall so far back -- many times at a standstill facing the wrong way -- that your hope for beating the challenge disappears instantly on the short tracks, even if the cars you were controlling were dominating the pack. It can be maddening when this happens 4-5 attempts in a row. The bread and butter of the game (perhaps by design but also by default, since matchmaking online is futile -- more on that later) is the Campaign mode. Progress is made by medaling each event, which unlocks new events and new worlds. There are 10 different “worlds” to compete in, and each world holds five events for you to attempt to conquer. While the worlds (like Stellar Archipelago) and individual events (like Fragrant Moose) have intriguing names, I found the environments and tracks to be a bit bland and repetitive. Even understanding the low-res feel the game is set in, it would add some flavor to the game to arrange those polygons into something memorable and unique to see from track to track and world to world. Collecting medals in events also unlocks new vehicles. The 10 vehicles available have unique attributes (speed, acceleration, handling, jumping and smashing), but the overall impact of these attributes seems fairly minimal when comparing vehicles in-game. The simplified visuals and lack of personalization for vehicles make unlocking new ones a ho-hum experience. 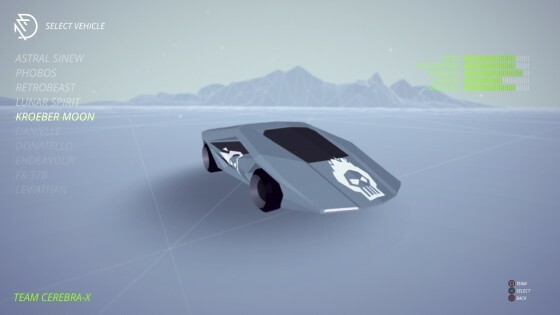 There is no upgrading attributes, no vehicle skins (other than basic “team” decals consisting of shapes and animal faces), and strangely no ability to change the color of your car in campaign mode. 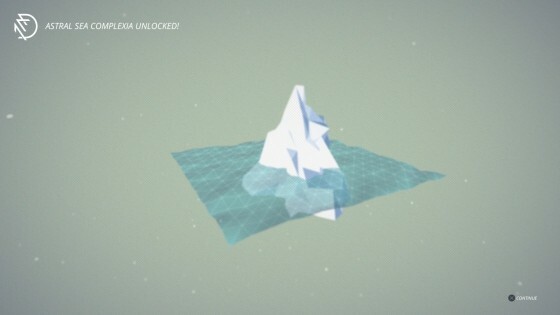 Completing Campaign mode unlocks Offensive mode, which is a more difficult version of Campaign mode and is set to 50 more tracks. As can be problematic with many small indie games, trying to find an online session can be a challenge unless you coordinate with a group of friends that play the game as well. 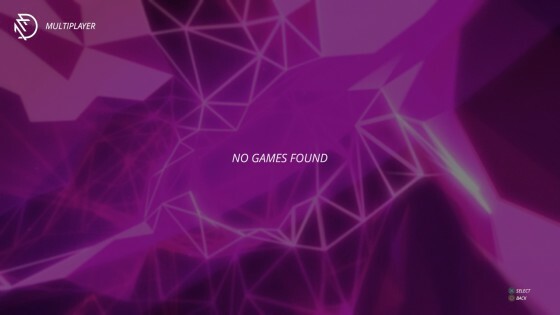 I came up empty searching matchmaking for a race time after time, and if I created my own match, I’d simply sit at the waiting screen hoping to see someone, anyone join. They never did. For the creative types, Drive!Drive!Drive! includes a track creator where players can build their own track stacks. While the track piece and layout options are robust and provide plenty of opportunity to build some killer courses, the track scenery and customization options are very vanilla, with the only option being to refresh the auto-generated scenery placement. Drive!Drive!Drive! makes it simple to seek out and rate user-created courses. There are suggested courses on the front page of the Community Tracks option, and you can sort by rating or enter a keyword. I was let down when I found out there were no leaderboards kept when playing community courses, so there’s no additional motivation to play user-created content other than to experience some (potentially) neat tracks. The soundtrack is one of the strong suits of the game. Instrumental synth rock band Zombi lays down a score that fits the futuristic outer space setting perfectly. You’ll likely want to follow up a session of Drive!Drive!Drive! by popping in a Tron: Legacy Blu-ray. I’ve got to hand it to Different Cloth: They beat the odds by not only finding a new twist to make a racing game seem like a new experience, but implemented it quite well. Switching between tracks breaks races up into several micro-sprints that give the game a frenzied pace. Unfortunately, it’s everything built around that mechanic that fails to provide enough support to sustain an enjoyable experience past the first few hours of gameplay. At just $16.99 on PlayStation Store, Drive!Drive!Drive! can be an intriguing option for arcade racing fans or those who staunchly support games from small developers. But for those looking for a deep campaign mode with vehicle customization to dive into, or a large online community to bump fenders with, it may be a good idea to switch to another track.